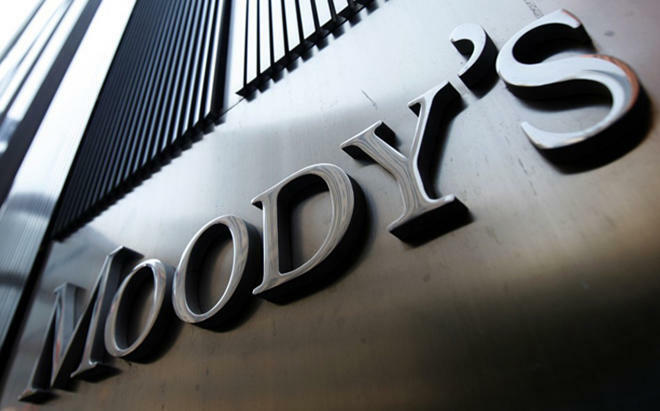 International rating agency Moody's Investors Service has affirmed the long-term issuer rating and senior unsecured debt rating of Azerbaijan at the Ba2 level with a stable outlook, says the agency's report. Moody's associates the preservation of the country's rating by growing net creditor position of the government, supported by current budgetary reforms; gradual risk reduction in the banking sector. At the same time, the decision to maintain a stable outlook reflects balanced risks. The report says that current reforms in the fiscal and financial sectors can strengthen the resilience of a sovereign credit profile to shocks, including lower oil prices, and contribute to increasing the credibility and effectiveness of policies to a greater extent than Moody’s currently expects. Moody's has also confirmed the rating of senior unsecured notes of the Southern Gas Corridor CJSC, with a stable outlook. Agency analysts pointed out Azerbaijan's significant reserves, which shows the country's strong fiscal position. Moody's expects that the implementation of new fiscal rules and the government’s debt management strategy will strengthen the country's net credit position. In addition, Moody's expects that by 2020, the state debt of Azerbaijan will be reduced to 29 percent of GDP from the 33 percent in 2018. It is noteworthy that last year, the Azerbaijani government adopted an order restricting government spending, which aims to reduce the government’s dependence on hydrocarbon exports, aiming at reducing the non-oil deficit annually, and allowing counter-cyclical spending at low oil prices or a significant slowdown in economic growth. The long-term debt strategy for 2018-2025 is aimed at reducing direct public debt and imposes restrictions on the emergence of new direct debt and the provision of new guarantees. In the medium term, the agency does not expect a significant change in Azerbaijan’s dependence on the hydrocarbon sector. According to Moody's analysts, last year, the sector provided more than 90 percent of total exports, 75 percent of industrial production, and about 60 percent of consolidated state revenues. In addition, Moody's expects that current reforms in the financial sector will improve the quality of prudential policies, banking supervision and information sharing, which will allow banks to better assess and manage credit risks. Financial Market Supervisory Authority of Azerbaijan (FIMSA) plans to adopt new rules for banking regulation by 2020. More stringent regulatory requirements regarding capital adequacy and currency risks, according to agency estimates, will lead to an increase in bank capitalization and limit currency risks in comparison with 2014-2017. In January 2019, the assets of Azerbaijani banks amounted to 29.6 billion manats ($17.4 billion).The loan portfolio of Azerbaijani banks made up 12.54 billion manats ($7.38 billion). Of this amount, banks created reserves for 1.48 billion manats ($0.87 billion). Also, 1.19 billion manats ($0.70 billion) accounted for cash held by banks, while 3.9 billion manats ($2.3 billion) accounted for securities.